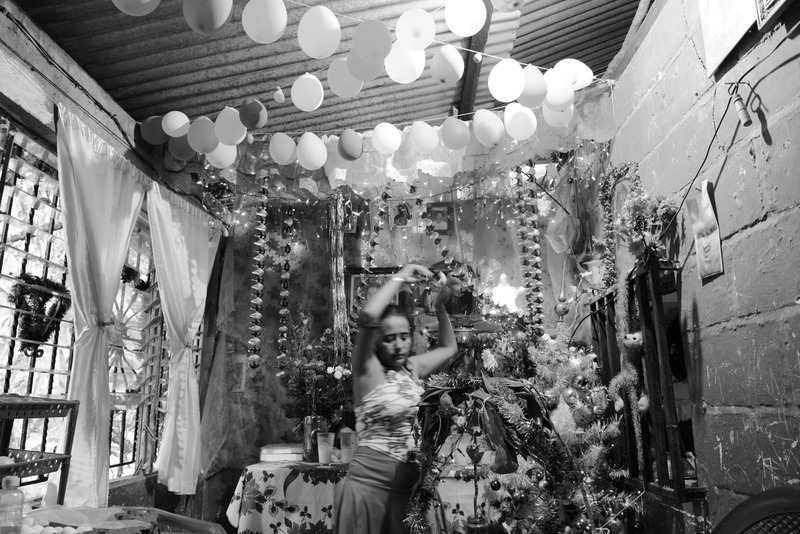 A woman with Christmas decorations in the small storefront inside her home where she sells food to migrants near the freight train tracks for "La Bestia," a freight train many migrants used to ride north. The U.S.-funded Plan Frontera Sur has increased enforcement on the train, so migrants have turned instead to walking and taking buses. This is a particularly dangerous area for them, with many robberies and attacks.